Feel fancy drinking this floral cocktail with exquisite flavor! Mix bourbon and Orange Blossom Syrup in the bottom of a Collins glass. Fill with rosemary ice cubes. 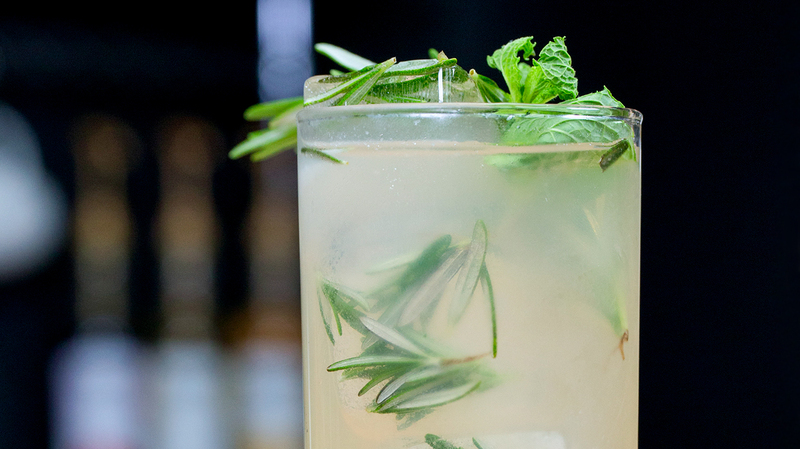 Top with lemonade and garnish with rosemary and mint.